The news is out of the bag - Soundcloud is running low on cash. So low, in fact, that the company only has enough money to sustain it through the fourth quarter of the fiscal year. That’s only 50 days. The company, founded by Eric Wahlforss, began from the idea of creating “The Youtube of Music” and has fallen on hard times - recently laying off 40% of its staff as well as closing both the San Francisco and London offices. Unless another company steps up to the plate and buys it, like Google did for YouTube, or an established artist steps in and offers some assistance, it looks like the days of the important platform for aspiring musicians are numbered. If it does go under, there are a number of groups who could possibly benefit from its demise. There would be a lot more money, attention, and creativity to spare that could be capitalized on. Roswell, Georgia-based rapper Russ said it best: “Blogs don’t matter.” In the early to mid 2000s, music blogs such as Datpiff and LiveMixtapes were breeding grounds for independent artists and their mixtapes. With the creation and explosion of artist interaction with Soundcloud, these blogs saw a decline in usage. Without Soundcloud around to soak up all of the attention, websites like these could see a spike in interest from artists. In turn, the fanbase of each artist could turn to these websites as well. 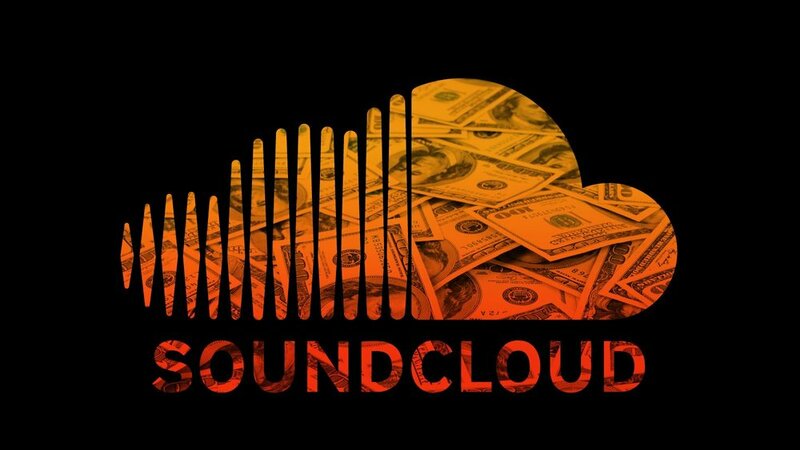 In order for music blogs to take full advantage of Soundcloud’s finish, they must be willing to cooperate with artists and develop monetizing options. It will be interesting to see how things turn out in the long run. Bandcamp was founded in 2007 and never really took off like it should. It could be for a number of reasons, including artist interest in the platform and competing streaming websites like Audiomack and SoundCloud. Since Bandcamp, Audiomack, and SoundCloud have similar features, it’s reasonable to believe that both Bandcamp and Audiomack will see an uptick in artist engagement. Bandcamp has a much higher level of influence than Audiomack, delegated by a 68% difference in Google Search popularity between the two (Bandcamp: 75% and Audiomack: 7%). In order to really succeed, both platforms need to work on their website layouts. Bandcamp’s cluttered interface makes it hard to find independent music without having to do some searching. On the surface, it comes across as sleek, pristine, and easily readable. The tile-like nature of the layout means that to find indie artists you’ll have to scroll all the way down to the bottom. Audiomack’s layout is horrendous: looking more like a website laced with spyware than an easily accessible artist tool. Soundcloud’s genius comes from the simplicity of its layout and the simplicity of how its features are implemented. Social hubs like Twitter, Facebook, and Instagram, have all served as middle men for SoundCloud artists who are peddling their music to other people. Artists usually post a link to their music that then takes the listener to another website where they listen to the music. With Soundcloud leaving, and a majority of the artists’ ways of delivering their music being extinguished, social media websites would be wise to implement a built in player feature for music. Taking it a step further, they should have a space for uploads that allows artists to send their music. Twitter’s promotion feature is a half-baked attempt by the company to monetize the platform, something that needs to be done to ensure its continued growth. The problem is, most everyone doesn’t need to promote their tweets, save for entertainers and people selling products/services. If Twitter implemented the promotion feature into a monthly subscription package, artists would come in droves to Twitter and would happily pay the money to get their music heard. This would defeat the need to spam links at random people. Perhaps the happiest winners, people on websites like Twitter and Facebook will no longer have to worry about being sent link after link to music they don’t want to listen to. Nothing’s worse than being told to check out music that’s only a click away. First, artists will have to find a new platform. Then, they’ll have to figure out how to entice people into wanting to listen on this new platform when we already have Apple Music, Spotify, and TIDAL. In the meantime, it’ll be smooth sailing for people who don’t like to be bothered with that kind of thing. Eric Wahlforss is an entrepreneur that founded SoundCloud to make music more visible. Just as he capitalized on a problem that helped millions of artists, anyone who can develop alternative solutions can profit as well. In 2016, the company was worth $700 million - a clear indicator of interest in the market. In 2014, the company generated a profit of $27.9 million, but against the backdrop of spending $63.8 million. The problem lies in the way that the platform is monetized. A smart entrepreneur needs to figure out exactly what’s so hard to extrapolate money from the platform and right the course of the ship. Attempts at monetizing the platform came with the introduction of a tier system: Free, Soundcloud Pro, and SoundCloud Unlimited. Each tier offers varying levels of uploading capabilities, analytics, and account customization. The costs? Soundcloud Pro is $7 and SoundCloud Unlimited is $15. Somewhat expensive, but swallowable nonetheless. For casual listeners, the platform also introduced SoundCloud Go - a competing streaming service that allows listeners to download tracks to listen to offline, similar to Apple Music, Spotify, and TIDAL. SoundCloud Go costs $9.99 a month. The problem with this is that for the same price, listeners can get a subscription to any of the other streaming platforms that don’t have any licensing problems. Getting the subscription to SoundCloud Go means that listeners are paying for a service of primarily independent artists’ music in addition to not being able to access major label albums. It remains to be seen if the new services have had any impact, but the general consensus is that people aren’t signing up as expected. In 2016, Alexander Ljung, Co-founder of SoundCloud, revealed in a report filed at Companies House (UK) the importance of the success of the newly introduced subscription services. “ “The assumption of a successful launch of the new subscription service is the key element of [our] financial projections for the next three years… “ he said in the account. Without the services success, the company could indeed be going under. Chance The Rapper posted on Twitter that he could be working on a solution to Soundcloud’s problem. His tweet reads “I’m working on the Soundcloud thing”. While this isn’t much more than a couple of words, it could very well be possible that Chance is collaborating with company executives to come up with a solution that will keep its doors open. With an artist of Chance’s caliber giving the platform some spotlight, he could single-handedly lead the changes that could save the company. He could take it upon himself to buy into the company and create solutions that will help it secure a future. What happens with SoundCloud will be very interesting to see for artists and listeners alike. Regardless of whether it closes or stays open, there’s a lesson to be learned about the importance of running a business and monetizing a social platform. The only thing that artists and listeners can do now is batten down the hatches and prepare for the coming storm. Meek Mill Drops New Song "Issues"